Transportation demand management (TDM) is defined as a series of measures and strategies to decrease vehicular use and increase the proportion of trips made by transit, walking, and cycling. TDM is comprised of various strategies that change travel behaviour (how, when, where, and why people travel) in order to achieve transport system objectives. There are numerous TDM strategies using various approaches to influence travel decisions. 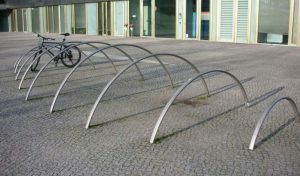 Some improve the transport options available; some provide incentives to change travel mode; others improve the accessibility of a site; and some try to affect the need to travel to and from a location. Creating a compact and pedestrian-oriented development to increase walking and cycling. Creating an expanded and enhanced transit network. Providing community-oriented services and amenities within a 5 to 10-minute walking radius. Providing bicycle parking and a diversity of amenities. 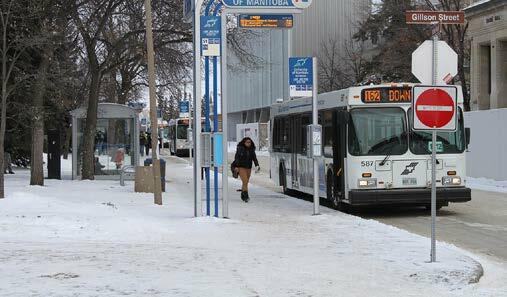 Providing transit shuttle services between campus locations such as the BU Downtown Campus and the Winnipeg Campus site, as well as other institutions. Collaborate with the City to enhance the City of Brandon transit service to the campuses. Consider an integrated same day service between the Winnipeg and Brandon Main Campus. Providing incentives such as fee transit passes to encourage transit ridership. Locating transit in the heart of the campus. Hiring or appointing a TDM Coordinator to assist students with information on alternative travel options. Continuing to institute the current carpooling strategy for the Campus and encouraging carpooling through the provision of preferential parking policies. Managing parking supply and pricing. Increasing and diversifying the housing stock on the Campus to reduce the need for vehicular travel. Locate housing in close proximity to the Campus, including the surrounding neighbourhood and downtown. The purpose of a TDM Coordinator for the campus would be to help provide information to students on the travel options and to assist them in finding other alternatives to the car. Example duties of a TDM coordinator include providing or coordinating a ride-matching service for student carpooling; acting as a point person for student transit passes; providing strategic input to University management on ways to improve and support use of non-auto modes; and coordinating awareness events for students and staff. An important way of managing transportation demand will be through managing the cost of the parking at the campus. There is typically a direct relationship between parking charges and personal auto usage, such that a rise in parking fees will typically result in a decrease in parking demand and an increase in transit usage. This approach works well if supported by alternative transportation options.